Devices that blur the line between a smartphone and tablet have been a huge hit internationally, so it’s no surprise that Huawei’s monster Ascend Mate was successful enough to warrant a sequel. Unveiled at IFA, the 6-inch Ascend Mate 7 is an improvement upon the first in every way. It features a 1080p display and 4100mAh battery, for starters, “single touch” fingerprint sensor, LTE Cat6 connectivity, incredibly thin bezel, and a thickness of merely 7.9mm. Perhaps the upgrade Huawei touted the most, however, was the octo-core processor. It’s not a true CPU with eight cores, but instead, it is two sets of four cores in big.LITTLE configuration; four A7 cores clocked at 1.3 GHz kick in for lighter tasks, while the remaining 1.8 GHz A15 activate for processor-intensive apps. As far as the camera is concerned, it packs a 13-megapixel f/2.0 camera with a Sony sensor, and a 5-megapixel front-facing shooter with a “industry-leading 5P non-spherical lens,” which Huawei claims cuts down on distortion. 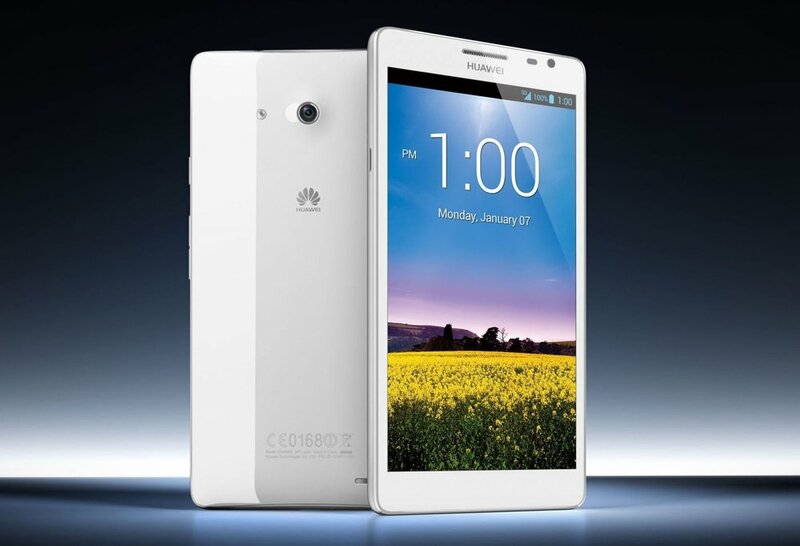 In terms of software, the Ascend Mate sports Huawei’s EMUI 3.0 atop Android 4.4. The Ascend Mate 7 will be available in two configurations when it launches in Europe during Q3: a 16GB model with 2GB of RAM, and a 32GB model that bumps up the RAM to 3GB. The variants will retail for 499 and 599 Euros, respectively. A full press release can be gone over by your own eyes below. Anyone pumped for this leviathan of a phone? Berlin, Germany, September 4, 2014: Huawei today launched Ascend Mate7 at Internationale Funkausstellung Berlin (IFA) 2014, featuring a big 6-inch screen with FHD display for enhanced entertainment viewing, a slimmer 7.9mm body for increased comfort, a more powerful octa-core chipset for superior performance, and a longer-lasting 4100 mAh battery. With new single-touch fingerprint technology and EMUI 3.0, Ascend Mate7 dials up the mobile experience to make it easier for users to live life to the fullest. Ascend Mate7 is the latest big-screen smartphone from Huawei as it showcased its big ambitions as the number three smartphone vendor in the world. Smart Performance Boasting octa-core architecture, Ascend Mate7 has an intelligent Huawei Kirin 925 processor made up of four large A15 1.8 GHz and four small A7 1.3 GHz chipsets which are activated in different configurations depending on the power needs of a specific app or function so the smartphone can be smarter with power management. Ascend Mate7 saves up to 50% of the battery by automatically using smaller A7 cores to power standard apps that consumers use at least 80% of the time, and kicking in the larger A15 during high-performance use such as gaming. The processor will also automatically activate additional cores when it detects that 85% to 95% of a single core’s processing capability is being used. Ascend Mate7 is possibly the market’s first 6-inch smartphone with instant single-touch fingerprint access to put an end to password fatigue. It enables users to unlock the phone at least 80% faster than devices that use a slower sweeping recognition option. Located on the back of the handset and measuring 9.16mm x 9.16mm, the reader supports up to five sets of different fingerprint records which can be allocated to normal and guest modes, so a user can switch modes to enhance protection when securing private folders, applications, or payment information. It has a higher 508PPI ratio for enhanced reader accuracy so there’s no need to swipe repeatedly before being able to unlock the device – even with wet fingers or under light rain conditions. ARM TrustZone also stores encrypted data of the fingerprint within the chipset for better protection by SecureOS, and prevents direct access by third-parties. Featuring the fastest LTE Cat6 connectivity with download speeds of up to 300 Mbps, Ascend Mate7 enables HD movies to be downloaded in less than 30 seconds. Running on a high density 4100 mAh Li-Polymer battery, Ascend Mate7 managed to fit a huge battery in the slim body for more than two days of non-stop normal use. With Huawei’s proprietary power-saving technology, Ascend Mate7 provides three power saving modes – normal, smart, and ultra power saving. Style and Substance A rare find for smartphones of this size, Ascend Mate7 is made up of more than 95% metal and features an interior structure made of a strong aluminum alloy for superior heat reduction. At only 7.9mm slim and weighing 185g, it has an ergonomically curved back for easier operation with just one hand and an ultra-narrow 2.9mm bezel that delivers a compelling screen-to-body ratio of 83%. Ascend Mate7 comes in three chic colors, moonlight silver, obsidian black and amber gold. With a 6-inch FHD in-cell LTPS display that consumes less power and JDI Nega-NEO technology for an impressive 1500:1 high contrast ratio, Ascend Mate7 delivers incredibly sharp images. It has a 13MP rear-facing camera to capture better party photos in low lighting with Sony’s 4th generation BSI sensor and f/2.0 aperture. In addition, the 5MP front-facing camera adopts the industry-leading 5P non-spherical lens for higher definition and less image distortion. Intuitive Simplicity Ascend Mate7 will launch with EMUI 3.0, the new version of Huawei’s intuitive user interface that makes it easier to operate with one hand and features a brand new look across the entire software interface. The new timeline design is used extensively throughout for enhanced consistency and usability across various apps. In addition, it actively addresses daily needs intuitively through practical and visually appealing design details, such as the convergence of key smartphone functions call, contact, and messaging, that can now be easily switched between with a single horizontal swipe. Availability and Accessories The recommended retail price of standard Huawei Ascend Mate7 (2GB RAM and 16GB ROM) is 499 euros, while that of the premium Huawei Ascend Mate7 (3GB RAM and 32GB ROM) is 599 euros. It will be available in more than 30 countries/territories including mainland China, Hong Kong, UK, Germany, Italy, France and Spain from Q3 2014, with other markets to follow. Accessories include the new UltimoPower Active Noise Cancelling Earphones that reduce noise by 15-30db and features for the first time, a self-charging internal battery when connected to a smartphone and two hours of use when connected to other devices, as well as leather cases and a charging stand that converts the smartphone into a digital photo frame.